Last Friday, hundreds of thousands of federal employees went without paychecks. We know that some of you in our host community are included in that group, and we want to help. Starting today, we’re offering all federal executive branch employee hosts some financial support. If you host either one Experience or three nights in your listing between December 18, 2018 and March 18, 2019, we’ll give you up to $110 extra on us. You can sign up here—and get additional details here. $110 is equivalent to the average amount US hosts make hosting one night. All qualifying hosts will receive the payout shortly after the program ends. At Airbnb, we take our responsibility to you seriously. And the reason why is simple: We’re about far more than travel—we are a community. We’re proud to offer our support and stand with you through the remainder of the shutdown and beyond. b doesn’t support their hosts well overall. 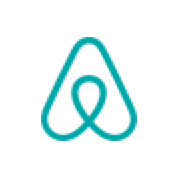 Guests with violations with booking rules get to review and post and AIRBNB does nothing about it. I’m a five star and I don’t like they way they allow guests to post when they vilolate booking rules. They end giving unfair reviews and AIRBNB allows it. Also their site is inflexible with many issues around amenities. Unfair! @Linny Not the place for this. This is a nice gesture, but I wonder why the payout isn't coming until after March 18th? Many of these people are making tough decisions now, not 2+ months from now. It's like giving a starving kid a meal voucher for next week - doesn't help his empty belly now and later may not come. Airbnb could make in immediate impact for these hosts by paying out on future reservations now rather than holding payment themselves (or some other schema that loaned against future earnings). Please define what a "federal executive branch employee" is? The word "Executive" would indicate management, or is this "ANY" federal employee? I hope you are good. This is a good question and thanks for your comment here. If you are interested in more of the details, if you haven't already read this, here is a useful FAQ which addresses the payout timings. Hopefully the shutdown will end soon. They're referring to your 7th grade Civics class definition. You remember learning about the 3 branches of government: Legislative, Judicial, and Executive, right? The executive branch has the greatest number of federal employees (something like 5 million). I guess they didn't feel the need to cover folks in the Legislative (they got us in this mess?!) or Judicial branches. Will we be given Brexit support in the UK?????? . Especially hosts like us in Nothern Ireland. Our future bookings are being affected by the uncenrtainty regarding travel between Nothern Ireland and the Republic of Ireland. The point I am trying to make is, where do you draw the line when instroducing these schemes? I am sure hosts in other countries outside the US can come up with numerous other examples. Does this apply to hosts that are the spouses of Federal Empoyees? The Flat is offering.. “what the F...”... the “Flat Federal Furloughed February”. Any federal employee gets 20% off our Airbnb in Petersburg, Illinois during the month of February! Our way to help! Unemployed Federal employees! Visit the Flat. Airbnb Petersburg, ill. Like us on Facebook. The Flat. This is wonderful. I am a federal employee and just now saw this. Although the shut-down is over (for now), the uncertainty of the past month, and the uncertainty about what will happen in the next few weeks is significant. @Tony And Una you have right, it can be challenging.